Speakers are often called upon to give different kinds of talks. 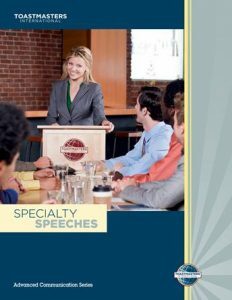 This manual contains information about giving the most common ones, and it covers impromptu talks, inspirational speeches, selling a product, reading out loud and introducing a speaker. Objectives:• Develop an awareness of situations in which you might be called upon to deliver an impromptu speech.• Understand how to prepare for impromptu speaking.• Develop skill as a speaker in the impromptu situation by using one or more patterns to approach a topic under discussion; for example, comparing a past, present, and future situation, or before and after. Objectives:• Identify and understand the basic differences between inspirational speeches and other kinds of speeches.• Learn how to evaluate audience feeling and develop emotional rapport.• Develop a speech style and delivery that effectively expresses inspirational content by moving the audience to adopt your views. Objectives:• Understand the relationship of sales technique to persuasion.• Skillfully use the four steps in a sales presentation: attention, interest, desire, action.• Identify and promote a unique selling proposition in a sales presentation. Objectives:• Arrive at an understanding of the elements that comprise oral interpretation and how it differs from preparing and giving a speech.• Learn the preparation or planning techniques of effective interpretation.• Learn the principles of presentation and develop skill in interpretive reading with regard to voice and body as instruments of communication. 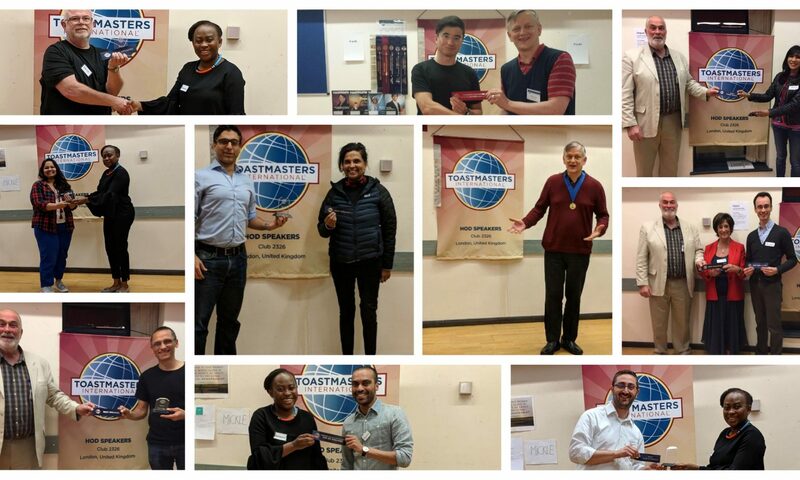 Objectives:• Focus on the special occasion talk from the standpoint of the introducer (function, chairman, toastmaster, master of ceremonies).• Become knowledgeable and skilled in the functions associated with the master of ceremonies.• Handle the introduction of other speakers at a club meeting.